Remember back in early 2015 when you didn’t really have to work that hard to end up in the map pack at the top of Google search results pages? Back before mobile screen viewport size necessitated the change from a 7-pack to the familiar 3-pack of today? Well, good news! Getting your business to show up in the map pack in 2018, doesn’t have to be the lost cause that you think it is. This may be, arguably, the most important option of the 5, as this one gets you in the game. If your site isn’t responsive, stop reading now, call your provider, and ask what you can do to get a responsive site as soon as possible. Seriously…it’s that important. Without being responsive, your site has bigger issues than getting in the map pack. Like, showing up in search results at all. Here is another that could be seen as being the most important step of the 5. Without a claimed and optimized Google My Business listing, you are leaving it up to Google and the internet, in general, to put display the best information about your business. Besides, it’s free and easy to set up, so it’s a no-brainer. Google, themselves, even has a guide on how to set up and optimize your GMB. Use a local phone number, not that spiffy 1-800 number that you love so much. Double check the category your business is listed in and make sure it is as accurate as possible. Add your website address and your business hours. Make sure that your Name, Address, and Phone Number are consistent throughout all of your citations on the internet. There are several tools that do a great job of figuring out the number and consistency of your citations. At the Scott McKellam Agency, we use a combination of Yext, Moz Local, and Whitespark. All of these are paid tools, but you can check your business listings for free here on our website! Simply fill out the information and our Listings Search Tool will do the rest. After a few moments, you will be presented with a percentage that represents your citation accuracy. Go ahead and try it, don’t be shy. This will give you a great idea of where you are and where to go from here. We recommend purchasing these tools and using them or find a reputable Local SEO provider that can do this for you. Whitespark works very similarly. You enter your business information and it actually gives you a list of the citations that you currently have. Run this scan for yourself and a couple competitors, toss all of the data in a spreadsheet and de-dupe it. Now you’ve got a list of unique citations that you can then pursue. Our advice is to stick to the relevant, local directories or citations. This is what will give you the map pack boost. Another amazing local ranking factor and one that is sure to propel you to the top of the map is Reviews. You know who else loves great reviews other than Google? Your potential customers! They see great reviews, and poor reviews alike, as a reflection of your business, so it’s very important to spend time with them and do it right. In a recent study by BrightLocal, they said that 85% of customers trust online reviews as much as personal recommendations. And they also noted that 68% of customers will leave a review if they are asked. Sometimes it’s as simple as just asking. To make it easy for your customers we recommend creating an email template to send out that includes a link to your Google Review page. You don’t want a happy customer to turn into a frustrated one by trying to figure out how to leave a review by themselves. It’s also very important that you respond to ALL reviews, not just the good ones and not just occasionally. This will help mitigate the damage that bad reviews can do by showing any future review readers that you care and are involved in your business. I know I’ve said it a lot, but this one is really important…I mean it this time…no, serious. It is a giant local boost if you can find links in your local area. Google gives these a bigger boost than the same type of link by a company outside of your community. Links is one of the most important ranking factors that there is. So much so that we already published a post on links and link building back earlier this year. This article will give you the best tips and tricks to acquire those local links that will boost your business into the coveted Map Pack. Here at Scott McKellam, we practice what we preach every single day. Our SEO Consultants work tirelessly to make sure our clients show in the Map Pack for a number of targeted keywords. If you have any questions or would like to speak to someone about Local SEO services, please reach out to us and we’ll get you started on the right track! 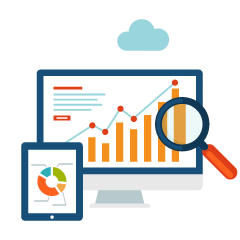 We are the Local SEO experts and we can help.